Items of personal nature like Porterage, Tips, Laundry, Mineral Water. Arrive Delhi by International Flight. Meeting and assistance upon arrival and transfer to Hotel. 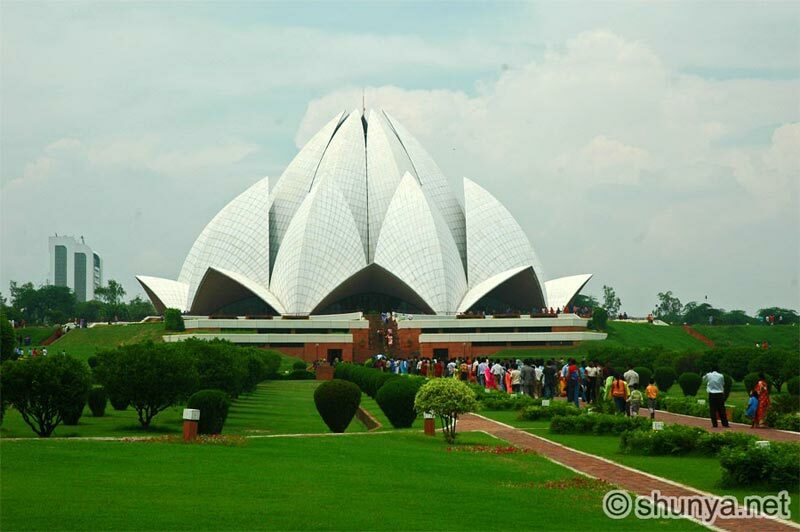 In the afternoon proceed for a combined sightseeing tour of Old and New Delhi. 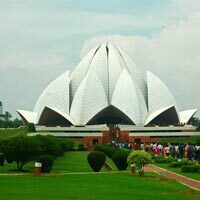 On your visit to Old Delhi, we will take you to the Red Fort, Jama Masjid, Rajghat and your visit to New Delhi will begin with a drive through the prestigious streets of the Diplomatic Enclave and then on to India Gate, Rashtrapati Bhawan (President's House) and Humayun's Tomb. Finally your tour ends after visiting the Qutub Minar. Overnight at the hotel. Morning drive to Jaipur (approx 265kms / 5 hours). Upon arrival check in at the hotel. Rest of the day at leisure. Overnight at the hotel. Morning drive to Agra (approx on 255kms / 5 hours) enroute visiting Fatehpur Sikri - a deserted, phantom city. The inner citadel is immaculately preserved. Its walls, palaces, baths, royal courts and gardens still stand in splendid homage to a great visionary and builder. Upon arrival check in at the hotel. Overnight at the hotel. Morning visit the world famous Taj Mahal built in the 16th century. The Fort and the tomb of Itmad-ud-duala. Afternoon free. Overnight at the hotel. Morning transfer to railway station for train to Jhansi. Meeting upon arrival at Jhansi railway station and drive to Khajuraho (approx 175kms / 4 hours) visiting enroute - Orchha. Upon arrival in Khajuraho check in at the hotel. Overnight at the hotel. Morning visit the world famous 9th to 12th century Khajuraho temples. Afternoon transfer to airport to connect the flight for Varanasi. Meeting upon arrival and transfer to the hotel. Evening witness Aarti ceremony at ghats. Overnight at the hotel. Early morning boat excursion on the holy river Ganges. Later proceed for a panoramic city sightseeing tour of Varanasi and continue to airport for flight to Kathmandu. Meeting upon arrival and transfer to the hotel. Overnight at the hotel. 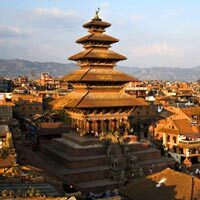 Morning proceed on a sightseeing tour of Kathmandu city visiting the Durbar Square to explore the fine examples of Nepalese architecture in its palaces and pagodas. Afternoon at leisure. Overnight at the hotel. 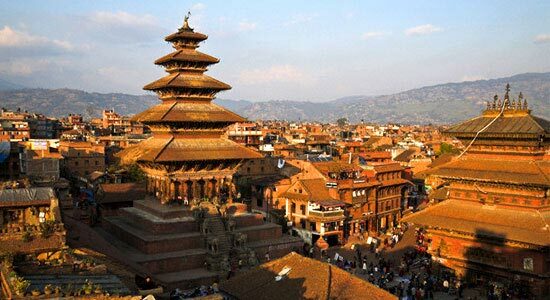 Morning proceed for a full day excursion to Bhatgoan (also called Bhaktapur, the City of Devotees) and Patan, "City of Grace and Fine Arts", it is a center of medieval art and architecture. The legendary city of Bhatgaon was founded by King Ananda Deva in 889 AD and is shaped like a conch-shell. Pottery and weaving are its traditional industries. In Patan you will be able to see Patan's interesting and beautiful pieces of art and architecture, also visit the Tibetan Refugee Craft Center. Overnight at the hotel. Morning at leisure. In afternoon transfer to airport to connect the flight for Delhi. Upon arrival in Delhi, evening is free for individual activities. In time departure to International airport to connect your flight for onward destination.